The 2014 Farm Bill allowed state Departments of Agriculture to embark on industrial hemp research pilot programs. In May 2017, the South Carolina General Assembly passed House Bill 3559 allowing for the legal growth of industrial hemp for research purposes. In 2017, the South Carolina Department of Agriculture announced plans for a 2018 Hemp Pilot Program, which would award up to 20 South Carolina farmers with permits to legally grow industrial hemp. 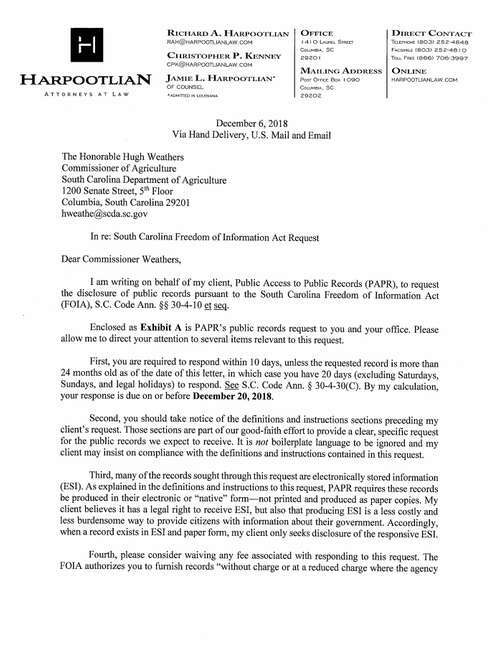 To date, there is no publicly available list of industrial hemp manufacturers and processors in South Carolina.